Whether you’re a regular parkrunner or just starting out, you can now get a discount on an Ipswich Fit iCard. All non-iCard monthly members will receive a 10-day free pass after taking part in their first parkrun. To claim your pass simply speak to the Race Director on the day. 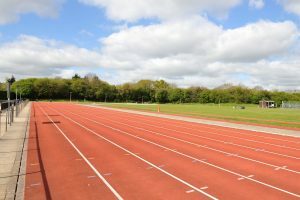 Anyone who has taken part in at least one parkrun in the last three months (as a runner or volunteer) will also be eligible for the iCard Corporate membership, which includes unlimited use of our pools, gyms, tennis courts, health suite and athletics track, as well as free fitness classes. 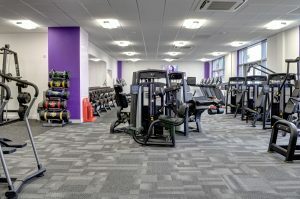 The corporate membership is £33.50 a month (usually £41.50) so you will be saving yourself £8 a month – that’s £96 a year! Find out more. Register for the parkrun at www.parkrun.org.uk. 2. In order to receive the discount you must show the official email from parkrun with your time and date of when you completed the run. Failure to show this will result in the discount not being applied. If you are a volunteer you must present an email from the Race Director from an official parkrun email address confirming when you volunteered. 3. You must complete at least one run every 3 months in order to continue to be eligible. Our team will contact you every 3 months to check this. We will require another official email with the time and date on. Failure to participate in a parkrun will result in you losing your discount. 4. If you fail to attend a run in 3 months and fail to prove your attendance your membership will automatically convert to the iCard Active at £41.50 a month. Normal cancellation terms and conditions will apply. 5. The 10 day free pass is only applicable to anyone that does not hold a pay monthly or pay annually membership at the time of redemption. Pay as you go customers are eligible. 6. Only one 10 day free pass is allowed per person. We know people like to do things with friends and going to the gym or bouncing around in a fitness class is no different. That’s why if you tell your friends about us and they sign up for a direct debit membership for at least three months, we will give you a month free. It doesn’t stop at one friend either. You can refer up to three friends and as long as they stay for at least three months, you will get another month free. To find the best membership type for your friend, send them to our Memberships page. Want to save money on your iCard membership? 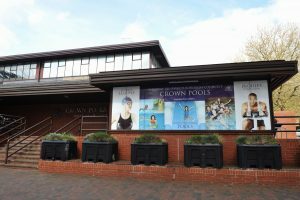 If you buy 12 months’ worth of membership by cash or card upfront, you will only pay for 10 months! Available on all our membership types. 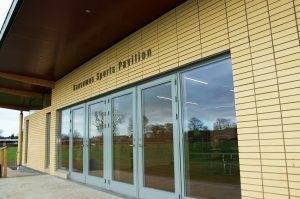 Want access to our top package, including swimming, fitness classes, gym, athletics track, tennis and 50% off indoor racquet sports? You can get our iCard Active Adult membership for less than £35 a month when paying up front. 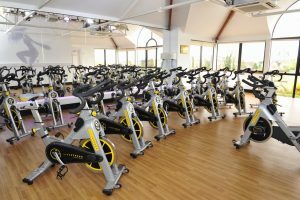 Or how about our iCard Gym and Swim, which gives you unlimited swimming and access to 5 different gyms across the town, plus 25% off indoor racquet sports? You can get this for just £32 a month when paying up front. For more information on our annual memberships, visit our Memberships page. Full terms and conditions can be found on our iCard T&C’s page. For more information on any of our offers, please email the iCard team at icard.enquiries@ipswich.gov.uk or call us on 01473 433503.